The long bankrupt fiat financial system is pushing the Deep State to target Venezuela for the latter’s natural resources that dwarfs that of its satellite province Saudi Arabia. However, the age old pretext of “defending democracy” will not fly anymore as the rest of the world no longer tolerate any of these baseless external interference into peaceful countries, which eventually makes failed states out of them. One can argue that both Russia and China are just protecting their interests in Venezuela when they expressly warned the US intelligence and military to not intervene in the domestic affairs of the targeted country, their mode of cooperation does benefit directly the Venezuelans and is still very much preferable over the many decades of one-sided Deep State plunder of Venezuelan resources, and Latin America at large, prior to the rise of Hugo Chavez. 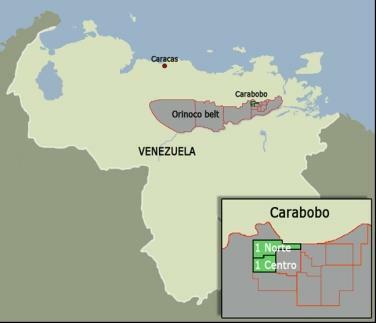 Venezuela is still sitting in the largest recoverable oil deposit on Earth — much bigger than any of the members of the OPEC oil cartel. The Orinoco Belt: “oil-in-place” is estimated to be up to 1.4 trillion barrels, of which 70% might be extracted using the most advanced technologies. “Let’s place 1 trillion barrels of oil in context. Global oil consumption is currently 35 billion barrels a year. Thus, the Orinoco Belt alone could satisfy 100% of global demand for almost 30 years! And these oil reserves belong to the People of Venezuela. While much is heard of “fracking” these days; steam-injection may in the long run prove to be the petroleum industry game-changer. Steam aids in harvesting heavy oils from sprawling oil-rich sand and clay formations where the oil is too viscous to be worked by conventional pumps. Initially, all heavy oil (Alberta) was extracted via open-pit mines wherein giant shovels heaved mounds of oil-saturated sand onto giant dump-trucks for transit to separating vats filled with hot water. This method has largely given way to steam-injection. In Alberta’s oilsands, where much of this technology originated, heavy oil is now 80% extracted via steam; 20% via mining. The simplest form of steam injection uses a single well. A hole is drilled down to a heavy oil deposit; then steam is pumped down the hole, sometimes for months. Eventually a blob of oil concentrates near the well’s bottom of sufficient viscosity to enable pumping to the surface. Circa 1978 SAGD (Steam Assisted Gravity Drainage) emerged. With SAGD two lengthy perforated pipes are drilled into place horizontally through the deposit; one pipe a few metres above the other. Both pipes emit steam until a teardrop shaped oil bubble envelopes the lower pipe. Then the top pipe continues to emit steam while the lower pipe goes into reverse; drawing oil to the surface. In 2017 Alberta’s oilsands yielded 2.7 million barrels a day; mostly via SAGD. Three additional innovations are coming to the fore. Solvent-Assisted SAGD adds designer chemicals (solvents) to the steam-injection process to accelerate the loosening up the oil. DHSG (Downhole Steam Generation) lowers small but mighty steam generation tools (furnaces) deep into the well. DHSG allows for greater heat conservation and improved fuel economy. Miniature nuclear reactors are ready for commercial application. Toshiba has developed a prototype reactor specifically for heavy oil extraction. This 5 MW electricity generator simultaneously serves as the furnace for a 900 Celsius steam injection boiler. The reactor promises to replace the elaborate and expensive natural gas infrastructure presently required by oil-field steam injection facilities. Toshiba’s prototype needs refueling every 30 years. The world’s fourth largest river, the Orinoco, rises in the Parima Mountains along the Venezuelan-Brazilian border. The Orinoco engraves a 2,000 kilometre north-easterly arc through Columbia and Venezuela before discharging into the Atlantic Ocean off Venezuela’s coast. The Orinoco Heavy Oil Belt stretches 600 kilometres along the north bank of the Orinoco River’s easterly dash to the sea. The Belt is 70 kilometers wide. United States Geological Service’s (USGS) Estimate of Recoverable Oil Reserves of the Orinoco Oil Belt (2009) is the go-to source regarding the Orinoco reservoir’s size. After describing how this oil-saturated bed of sandstone ended up 150 to 1500 metres below the surface of the East Orinoco Basin; the authors’ estimate “oil-in-place” to be up to 1.4 trillion barrels. The Belt’s “technically recoverable” oil is estimated to be as much as 652 billion barrels. (see USGC below) Elsewhere, however, the report speculates that by fully exploiting SAGD, and other recovery enhancement processes, 70% of the oil-in-place might be extracted. Moreover, the report relies on studies published between 2001 and 2008 hence does not contemplate: Solvent-Assisted SAGD; Downhole Steam Generation; let alone the application of nuclear power. Tackling the Orinoco Belt with these technologies will yield a trillion barrels. The report does not discuss production costs. Canadian oilsands companies continued to produce in 2018 even after transportation bottlenecks tanked prices to $20 a barrel. These facilities, however, would not have been built had investors known this might be the price of their wares. The business press guesstimates the current breakeven price for an Alberta oilsands project to be around $35 a barrel. it’s much closer to a coast. The Orinoco Belt sits at 9 degrees latitude and its entire span is a few hundred kilometres from Atlantic shores. 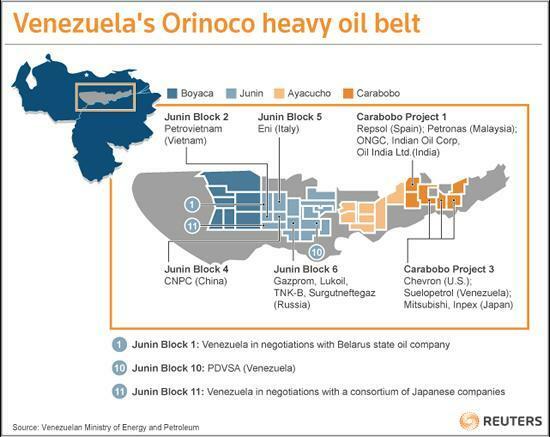 Orinoco Belt production costs will be noticeably lower than Alberta’s oilsands. Let’s place 1 trillion barrels of oil in context. As for the Orinoco field’s dollar value. World oil prices are currently hovering near $60 …do the math.